Here embassies reside and treaties are posted. This is a warning to all PSTO members participating in the military exercises along the DMZ on the Korean Peninsula. Immediately cease all exercises being carried out or planned. The DPRK will not stand idle and wait to be attacked by Japanese puppets. There will be repercussions if these exercises do not cease. Russia asks the Peoples Republic of North Korea to cease it's threatening actions in the name of peace and that if it has grievances it should return to the six party talks which we remind you Russia is apart of. The DPRK has only reacted to forces that South Korea has deployed along the DMZ up until this point. TIGER GUARDIAN is a major military deployment by members of the PTSO. Is Russia really going to remain content as Western Imperialists surround Asia on all sides? The DPRK will not be backing its forces down. To do so, would open us up for a preemptive strike by Seoul and the PTSO. The Russian Federation notes they are there because of the DPRKs action, we learned the west needs fuel to stay active. Do not reply to them with force and they will do nothing. However if you rather take rash action to not expect Russian sympathy for such. Russia does not fear the west surrounding all of Asia because that is not their goal. The People's Republic of China stands firmly behind our ally in North Korea and will defend it from any foe seeking its subjugation. Despite that, we encourage the Democratic People's Republic of Korea to come to the negotiating table where it can prove its honorable intentions in front of the international community without having to fight for its very existence on the battlefield. The Republic of Korea rejects in the strongest terms any threat made by the DPRK. Tiger Guardian is a continuation of the regular military exercises we conduct every year, and we will not bow to fearmongering from the North. We condemn explicitly the DPRK's acts of aggression cloaked in rhetoric about these exercises and will use any force we deem necessary to protect ourselves and our livelihoods from your threats, a nation we remind the world that is a nuclear armed rogue state. These exercises are being conducted in full compliance with international law, in either international waters and airspace, or within the borders of the Republic of Korea. We have not in any way violated the territorial integrity of the DPRK or the terms of the Korean Armistice Agreement. Furthermore the PSTO is nothing more than a formal recognition of ties of interest that have long bound all nations of the South Pacific, to declare its existence as grounds for acts of aggression is completely without merit. In response to this rhetoric however, we are formally advising all non-essential civilian visitors to the ROK to make preparations to evacuate, and asking the home nations of those involved to assist. 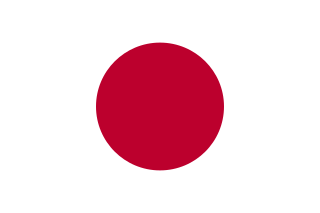 Japan stands beside our friends and allies in the Republic of Korea against the aggressive posturing of the Democratic People's Republic of Korea. For too long the DPRK has threatened resumption of its aggression against its neighbours in the region, in recent years, even with nuclear arms. Given the frequent, constant, and genuine nature of the threats issued by Kim Jong-il, military readiness for our collective security, including exercises taking place in our own territories and international waters, is our right under the United Nations Charter. We have no intention of initiating hostilities with the DPRK, but will defend our ally in full and work with them to eliminate the threat to both our nations should we be attacked. We remind the ambassadors present that the North Korean state has threatened nuclear attacks on both Seoul, with a population of ten million, and Tokyo, with a population of fifteen million - cities which, combined, equal the entire population of the DPRK. Even before the DPRK acquired nuclear arms, it threatened to attack its neighbour with chemical and biological weapons. This would be slaughter of civilians on an unprecedented scale, and yet this is what has been threatened, time and time again. To claim that we are the aggressors is absurd in the extreme. We feel the Chinese statement is unproductive, as there seem to us to be no honourable intentions behind a nuclear-armed rogue state threatening its non-nuclear armed neighbours with annihilation at every turn - and while we understand that the Chinese intentions are honourable in this instance, that their protection of a rogue state from the consequences of its actions is unjustifiable. As such, we urge the People's Republic of China to stand down and not join in a senseless war in defence of evil and aggression - for these are not the things that friends should be in conflict against one another to protect. The Russian Federation feels it must in the strongest possible terms denounce this behavior, as nuclear powers it is our responsibility to ensure that they are kept for deterrence purposes not as a cudgel to beat other states into the ground. While Russia will not take any action against the DPRK in any conventional war if it either uses the Nuclear Weapons it has acquired against a non nuclear state or if China becomes involved in the matter simply to bully other nations or acts in a manner in which we feel endangers or set a world threatening president or takes any action against the PSTO the Russian Federation WILL become involved with a military response in kind. As one of the Responsible nuclear powers in the world. We strongly urge China to as another nuclear power remember it’s own responsibility as both a member of the security council and as a nuclear power in the world that it has a responsibility to no help proliferate nuclear weapons or aggressive use of them as a method of solving disputes. For now the Russian Federation stands in support of the Republic of Korea, the State of Japan and the PSTO and will be prepared to jointly act if the situation calls for it. We urge both the Peoples Republic of China and the DPRK to rejoin six party talks and pull back from a dangerous course of action. The United States is committed to the defense of South Korea, Japan, and our other Asian allies. Any offensive undertaking into South Korea or Japan will be met with American firepower. After due consideration to avoid provoking the Chinese Government should there be an offensive undertaking by North Korea, we will halt our forces at the demarcated borders of the demilitarized zone after defensive action is completed and let the related powers sort out the remainder of the fight on their own should it be necessary. Likewise we will defend Japan so far as our treaty requires and should they ask us to avoid any further intervention toward defense, we will concede. However, should Chinese forces intervene in the conflict if the North Korean military initiates war on their own or nuclear weapons be used against our allies by either the North Koreans or the Chinese government - there will be full mobilization by the American Military and there will exist a formal state of war with whichever power has acted in accordance with those considerations. Use of nuclear weapons will be met with a retaliation of nuclear weapons and as of this moment all members of the pacific treaty organization are considered as protected by the nuclear umbrella of the United States until the tensions are resolved peacefully. We would advise the Chinese Government to refrain from any sort of action that would escalate the tensions or the conflict any further than has already been done by the North Korean government. We would prefer that the North Korean Government and the related powers of the Pacific Treaty Organization sort this out diplomatically and on their own. Chinese unconditional guarantees of support to the North Koreans only escalates the possibility of war and a refusal of the North Korean Government to sensible diplomacy. If the Chinese government keeps to mediation and stays out of this, then it is safe to say that we will also stay out of this and comply the same. Germany likewise condemns the Aggression of the DPRK. We are committed to standing with Russia, Japan and the US against the tyrannical Kim regime and any nation that would put themselves forwards as their insidious ally--including China. We recommit ourselves to our longstanding ties to the rest of the "Free World" and will be readying ourselves to act in our defense. We can hardly expect a state such as North Korea to be 'honorable' with regards to their brutal human rights record and constant repression, but we would welcome any calls to negotiation and de-escalation to prevent what would most assuredly be the greatest humanitarian tragedy only once unleashed upon humanity: Nuclear War. We stand ready regardless, to avert such a catastrophe by any means necessary. There shall be no peace for Warmongers! The People's Republic of China does not consider nuclear warfare to be a valid strategy in what is a regional conflict between sovereign states. 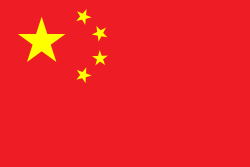 That being said, the Chinese Government has taken upon itself the responsibility of the establishment of refugee camps at the border between the PRC and the DPRK and does not intend to intervene in a conflict that would drag the West and the so called "PSTO" into open warfare with the People's Republic. Regarding statements from the German Representative, we recommend allowing the bodies of your German Agents in the Sunni Triangle to cool before immersing yourselves in yet another conflict irrelevant to you. Have you not lost enough without contributing useless rhetoric to this discussion? Last edited by Flaming Bolshevik on 23:08:14 Wednesday, 26 September, 2018, edited 1 time in total. 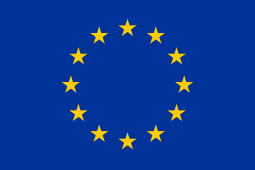 The European Union likewise condemns the Aggression of the DPRK. We are committed to standing with Russia, Japan and the US against the tyrannical Kim regime and any nation that would put themselves forwards as their insidious ally--including China. We recommit ourselves to our longstanding ties to the rest of the "Free World" and will be readying ourselves to act in our defense. OOC this is to be edited to Germany not the EU. The State of Israel is greatly concerned by the threat of war in the Far East. We urge all parties - including China and those involved in military exercises in South Korea - to step back. The militarisation of East Asia over the past few years makes even the slightest skirmish or incident alike to a spark on a powder-keg, and a much more dangerous proposition. Do not allow war to shatter the prosperity and peace on which global trade and commerce relies, and which only criminals or terrorists would welcome.